With the rise in success of the Netflix show Tidying Up with Marie Kondo starring obviously the Japanese organizing consultant and author Marie Kondo, many people are looking into their homes and realising how cluttered it is. Tidying Up with Marie Kondo is a documentary television series developed for the mega media-services provider Netflix. It follows Marie Kondo as she visits houses and helps them organise and tidy their homes. The show encourages everyone to declutter their houses and lean towards a minimalistic decor and arrangement. The reason why the show is so popular is that it hit home for the majority of its viewers. You may not want to admit it but we all have stuff that we really do not need inside our houses. Most of us own way too much stuff that results in a cluttered look for our houses. Often, this leads us to rent out a bigger place than what we needed. Studies have proven that most families have extra bedrooms that are designated just for storing stuff — not just a garage or an attic but an actual bedroom. While this may be affordable for some, most people are finding it harder and harder to keep up with this kind of lifestyle choice. Perhaps the biggest reason as to why this is an unsustainable habit is because of the issue of rent. Because of the crashing economy, rising population numbers and the shortage of space, rent has become one of the biggest thorns in everyone’s side. For people living in major cities, rent takes up most of their salaries. A solution that many do is to downsize, moving from major cities to less populated areas or to transfer from big places to smaller flats. Unfortunately, the problem is that there is no space for their items and furniture anymore. Here are 12 Shocking Statistics That Reveal How Much Stuff We Actually Own. Maybe this will remind you to declutter your house. According to the LA Times, the average households over 300,000 items. This is an astounding number of items given that the average space of a house is just getting smaller and smaller. The Telegraph reported that British research found out that the average 10-year old owns more than 238 toys. The study also showed that the aforementioned kids only play with 12 of these toys daily. This means 226 toys are extra toys that are just taking up a lot of space in your closet and drawers. Remember that a cluttered house is also not safe for kids. The UCLA published research that while only 3.1% of the world’s children live in America, these children own over 40% of the toys in the world. These make up for tons of unused toys that take up way too much space inside their homes. Various reports indicate that the entire world owns and consumes twice as much material goods today than we did fifty years ago. To support this study, PsychologyToday found out that Americans really do spend too much on items. The researchers revealed that Americans allocate $100 billion more on shoes, jewellery, and watches than on higher education. The capitalist market supported and tolerated obviously this behaviour. John de Graaf and David Wann, authors of the book Affluenza: The All-Consuming Epidemic revealed that shopping malls outnumber high schools all over the world. To make this worse, 93% of the teenage girls that they surveyed answered shopping was their favourite pastime. This over-consumerism behaviour has led to a huge number of problems in our houses. Because of the clutter inside our houses, the DailyMail reported that individuals spend over 3,680 hours or 153 days of our lives just searching for misplaced/lost items. The same research found out that due to the clutter, individuals also lose up to 9 items every day or given the average lifetime, almost 200,000 items in a full lifetime. Phones, keys, wallet, sunglasses, and paperwork top the list in getting misplaced. The Wall Street Journal recently published an article that on average, Americans spend over $1.2 trillion annually on unnecessary items — this ranges from decorative items to stuff that they impulse buy and do not use. Forbes recently revealed that the average American woman owns at least an outfit designated for every day of the month. This equates to over 30 outfits. To compare this, in 1930, women only owned nine outfits. This results in the average American family spending over $1700 every year just on clothes alone. All this hoarding behaviour has created a culture that has resulted in over 47% of American households not being able to save money as Business Insider reveals. You can give away your extra furniture and appliances to your friends. This ensures that your items do not get wasted. This gives your items a second life. Donating your items like used clothes and books, on the other hand, allows you to help out in the community before you move away. Let’s face it. You should really just throw away some items. When moving to a new place, throw away all produce and food. Transferring grocery items into a new house is problematic. Spillages may occur and they may even rot on the way. That is why it is advised to just throw them away. Don’t buy groceries a week after the move and be creative with what is left in your refrigerator. You can even host a dinner party with all the food that you have so you can start with a clean slate. Garage sales are a great way to earn money while getting rid of the items that you do not need or can’t fit into your new place. Selling them also gives your neighbours an avenue to your items that they want. 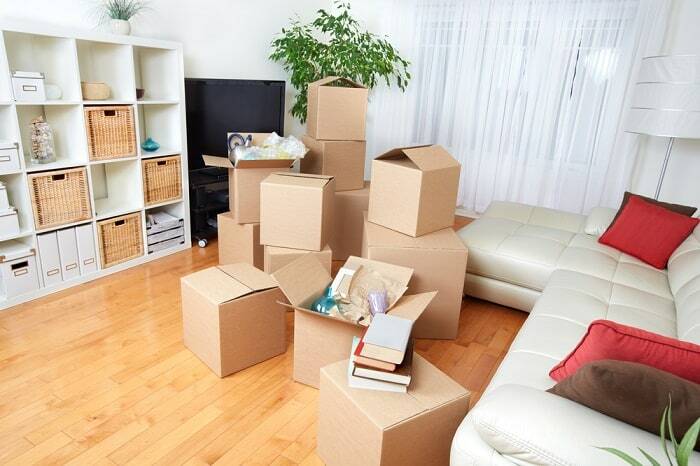 For items that you know you will need in the future but can’t fit into your new place, you can simply just store them in self-storage facilities together with your extra furniture and other valuable items that you can’t afford to part with. They will be stored in a secure storage facility waiting for you when you need them.